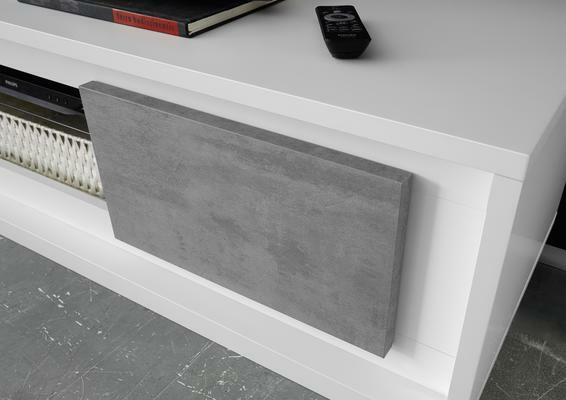 We are pleased to introduce the new LUNA Winter Collection Two door TV Stand in Matt White finish with contrast light slate grey finish doors. 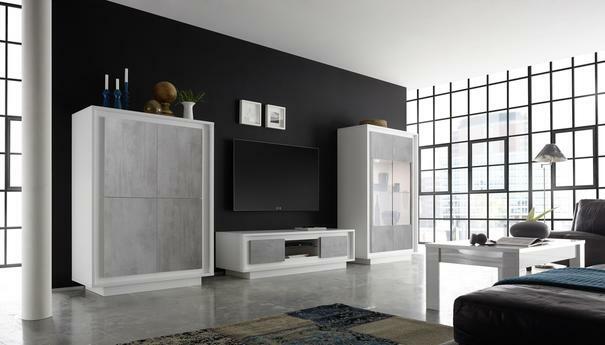 The Luna TV stand has two doors, both featuring 'soft close' hinges and doors opening from the central points. 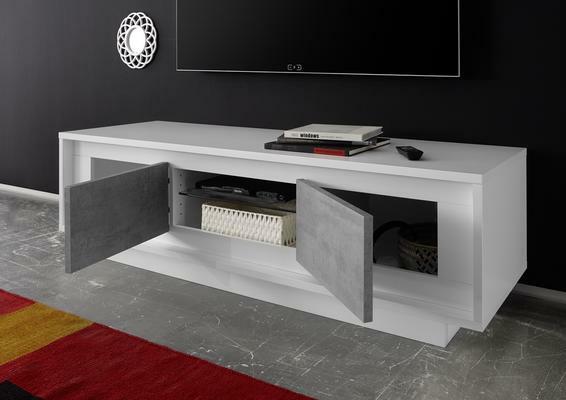 The recessed design of both the doors and base enhance this modern design TV Stand. 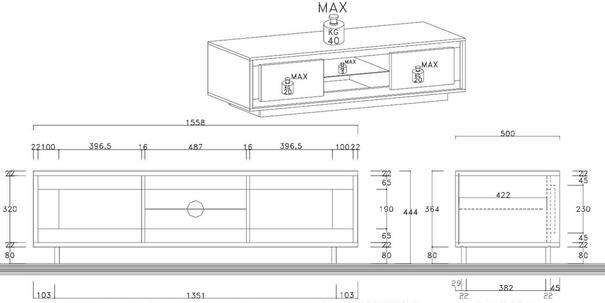 There is a central glass shelf with height adjustment for AV equipment along with AV access hole at the back. The two side compartments are for storage and do not contain shelves. Finish: Matt White with light slate grey finish doors.